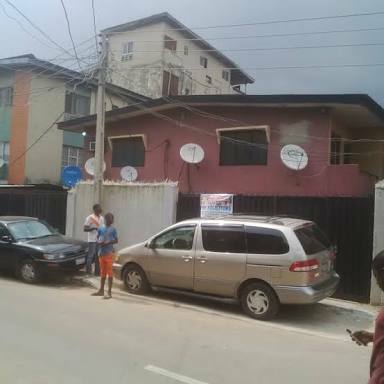 The Lagos State Police Command has arrested a man who's a resident of Adeniji Street, Iyana Ishashi area of the state, identified as Stephen Uwa, for the death of his lover, 45-year-old Joy Vincent. The woman, a mother of 4 children, had spent nights with the man in his house since last Sunday. He was alleged to have returned her dead to her house on Osha Arigba Street, Imude, and fled. But Uwa, who was arrested the following day, claimed that she was unconscious when he took her home. It was gathered by The Punch that Uwa and three others had on Thursday brought the woman in a vehicle, but did not meet anybody at home. A woman, who sold confectionery on the street, was said to have helped the suspect to call one of the deceased’s children, Ikechukwu, from school. When Ikechukwu arrived, Uwa was said to have collected the keys to her apartment from him and asked him to go call his aunt, who lived some distance away. The family was said to have met her dead body in the house. Neighbours of the deceased declined to speak during a visit to the area on Friday. However, the correspondent, who acted as a sympathiser, heard one of the deceased’s children recounting the incident to some people. He said, “IK (Ikechukwu) said Stephen (Uwa) came to the house in a car with a man and two women. When they drove into the compound, one of our neigbours who sells in front of the next house told them that nobody was around. “He then requested that they call IK, whose school is on the next street. When IK came, he (Uwa) told him that my mother was sick and requested the key to her apartment. IK collected the key from the neighbour and gave him. Stephen told him to go call our aunt, Aunty Esther, who lives on Alafia Street, which is about five minutes’ walk from our house. The aunt, Esther, said she suspected foul play when she got to the deceased’s house and did not find the people who brought her home. “My suspicion was confirmed as soon as I entered my sister’s room and found her lifeless body covered with clothes. I raised the alarm and went to the Ilemba Police Station to report the case,” she added. However, Uwa told the police that Vincent arrived in his house on Sunday, adding that when they woke up together on Thursday, she complained of stomach pain and asked that she be taken to her house. He added that as of the time he took her home, she was alive, but unconscious. The Lagos State Police Public Relations Officer, SP Chike Oti, who confirmed the incident, said the corpse had been deposited in the Badagry General Hospital mortuary for autopsy. He said, “The woman had about four children. Her sister reported that Stephen (Uwa) dropped her on the bed covered with clothes and left without telling anybody anything. She said she discovered that her sister was dead. “The corpse has been deposited in the mortuary for a post-mortem. The suspect has been arrested. He admitted that the woman came to his house on Sunday, slept in the house and on Thursday morning, she complained of stomach pain and asked him to take her to the house.